Gautham Iyer’s little café is a gem, the place to go for the most skilled, thoughtful and delicious cooking in the city. It’s vegetarian (much of the menu is actually vegan) but the style is light, delicate, airy and packed with flavour. “Today I bring you glad tidings which are of great joy, especially if you’re not keen on eating meat and enjoy a bit of spice”. That’s how I introduced my readers to Gautham Iyer’s remarkable little restaurant way back in February 2014. It was brilliant then, a true Leeside gem; and, as the repertoire develops all the time, it is currently sublime. I genuinely hesitate to use the phrase Indian cuisine as India is vast and populous with many cultures and traditions. But all the same I have to say that the best traditional Indian cuisine I’ve tasted in Ireland is to be found in a miniscule cafe on a Cork quay. It also happens to be the best vegetarian food I’ve ever had. Now the word “Indian” conjures up spices and pungent, fragrant aromas. The word “vegetarian” on the other hand – and depending on your perspective conjures up notions as diverse as crankiness, principles, lack of interest in food, penance, fibre, flatulence, smugness and starchy bulk. Hold on to those spice thoughts and ditch most of what I’ve just rehearsed under “vegetarian” as we visit Iyer’s Cafe, the eponymous establishment of GauthamIyer, the tall, skinny and charming former engineer from Tamil Nadu who has done more for the sum of Corkonian happiness than anyone else I can think of over the past year (and longer). Not many years ago, he started cooking for a living, providing the Cork cognoscenti with food of such exquisite flavour and delicacy that the lucky eater is transported to some kind of astral plane. Well that’s what it did for me, anyway. And I had to pinch myself when I realised that most of what I was eating was actually vegan. And ayurvedic, as it happens. Some dishes in the world engender a sense of well-being. Iyer’s elicit a more complex response; you feel not just well but also happier and lighter. 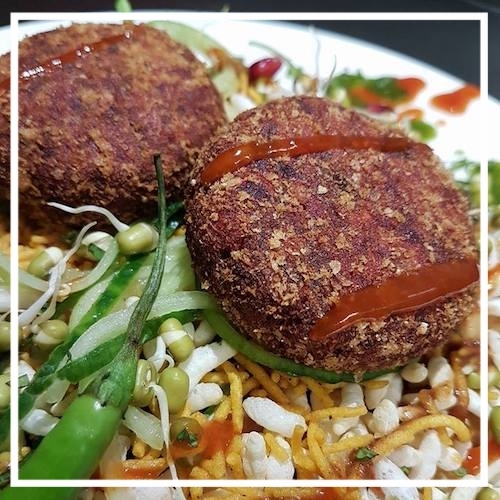 The menu changes all the time but you might have vadas of fresh banana flowers: nutty, fabulously spiced little crunchy patties served in the purple outside sheath of the blossom with a touch of tamarind and green chilli chutney. Or adai pancakes, made from a kind of natural sourdough batter based on lentils and other pulses. The texture is delicate and airy and the flavour is very complex: earthy, sweet, tart, spicy, sharp. Or a vegetable dosa, a pancake made from fermented rice and then covered with a spiced vegetable puree. On the side, a little bowl of sambal, a kind of split pea broth with okra, chilli and tart tamarind for dipping. And having dipping, I drank what remains. And so it goes on. But did I mention the prices? They are exceptionally modest. The simple fact is that Gautham Iyer is cooking the most exciting food in Cork. And the best vegetarian food in Ireland. Just go.